Good morning my creatures of habit! 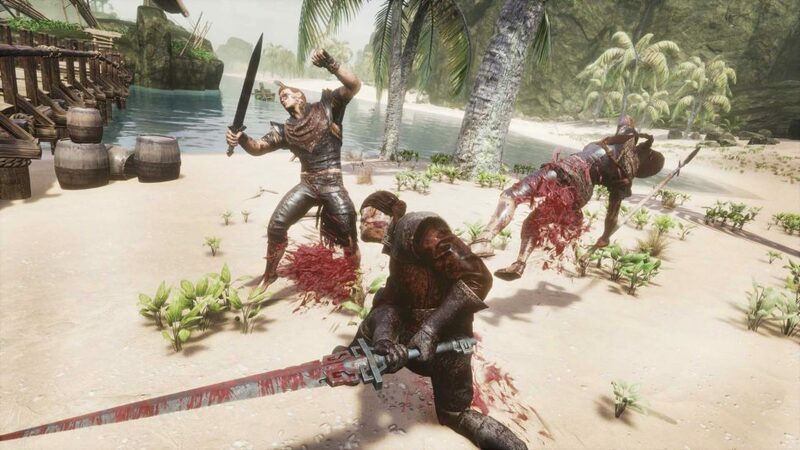 Welcome back to the Conan Exiles community newsletter, where this week we’re going to talk about some things that have been happening recently. Sorry for missing last week, but with publishing Mutant Year Zero it’s been a busy time for Funcom’s Marketing team!
. This is part of our ongoing effort to keep the community informed about issues and bugs we’re currently working on. Here we will list and track critical issues brought up by the community. We would like to point out that even if something has been marked as “Fixed Internally”, doesn’t necessarily mean it will be immediately patched to the game. An internal fix still needs testing and iteration before we roll it out in a patch.
! It contains a heap of bug fixes and quality of life updates, along with several exciting new mechanics for you to test out. Bows have been improved and power-shots have been re-implemented. You can now quickly fire off an arrow at an enemy or charge up your shoot for greater accuracy and power. We’ve also done several balance tweaks to arrows in order to increase the usability of specialty arrows. Throwing weapons are revamped with the aim to establish them as a strong Cripple and damage option for short to mid-range combat. Throwing weapons will cripple regardless of which body part they hit, can stack, won’t break, and can be picked up after you’ve thrown them. Throwing axes can also be used as a wildcard replacement for any combo step, letting you throw instead of attacking, without losing your combo. In this build we’re also introducing a new weapon archetype: The Katana. These hail from the remote land of Yamatai and come with an entirely new and unique move set. Their damage level sits between speers and hammers, with armor penetration equivalent to greatswords. We think it’s a fun little addition to the game, offering up some more variety when picking weapons. We also rolled out Testlive as a separate, downloadable client on Steam. If you own Conan Exiles on Steam, you should now see a separate Product called “Conan Exiles - Testlive Client” in your library which gives you the option to install an additional instance of the game specifically for the TestLive servers. Please be aware that this will prompt you for a full additional installation. Mod auto-downloaderYou’ve asked for it and it has finally happened: the mod auto-downloader is available for testing in the Testlive build! If you’re running a Testlive server with Testlive compatible mods, your players will get a pop-up when they try to join that will automatically start downloading mods. The client will then shut down and restart with the mods installed. There are still some small issues that we need to test and iron out, though, so keep in mind that this feature isn’t 100% finished yet. We will post a proper explanation of how it works once final testing has been concluded. Priority fixesAs you can see from the Trello board, one of our main priorities at the moment is the Purge. It’s not working as well as we would like and so we’re working on improving it. We’ve changed how many Purge points you’ll get per action, and how often those points are assigned to your character. This will take care of the Purge meter not increasing. Other things we’re changing include how the Purge chooses targets and who is liable to be attacked by a Purge, and we’re also working on fixing naked NPCs spawning in when the Purge attacks. Undermeshing has been a hot topic on our forums recently and you’ll be happy to know we have a coder working on this as well. We’re looking into the different ways players push themselves under the map mesh in order to disable them, and we’ll also be adding more building blockers underneath the map to prevent players from building there.